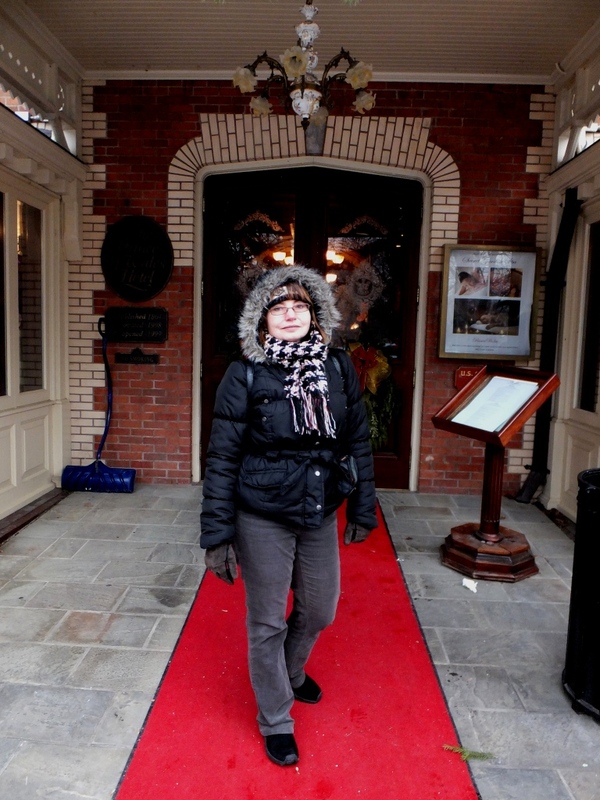 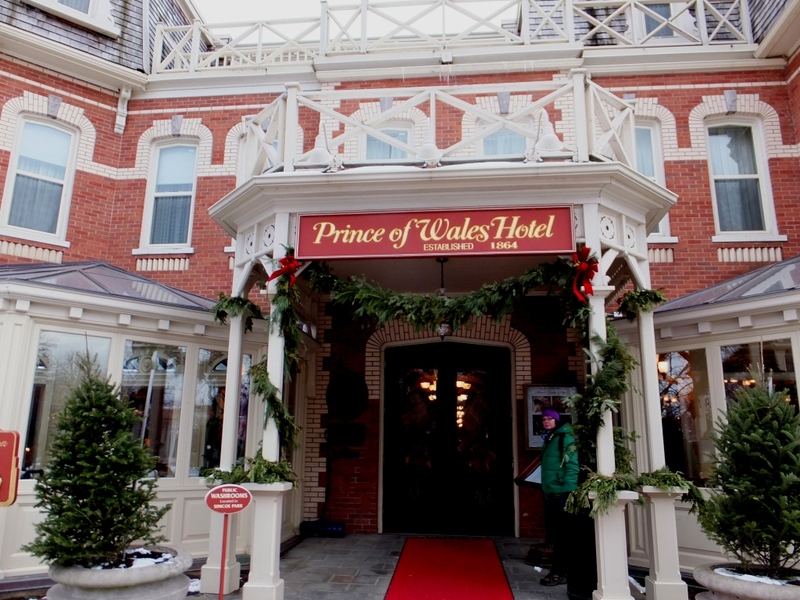 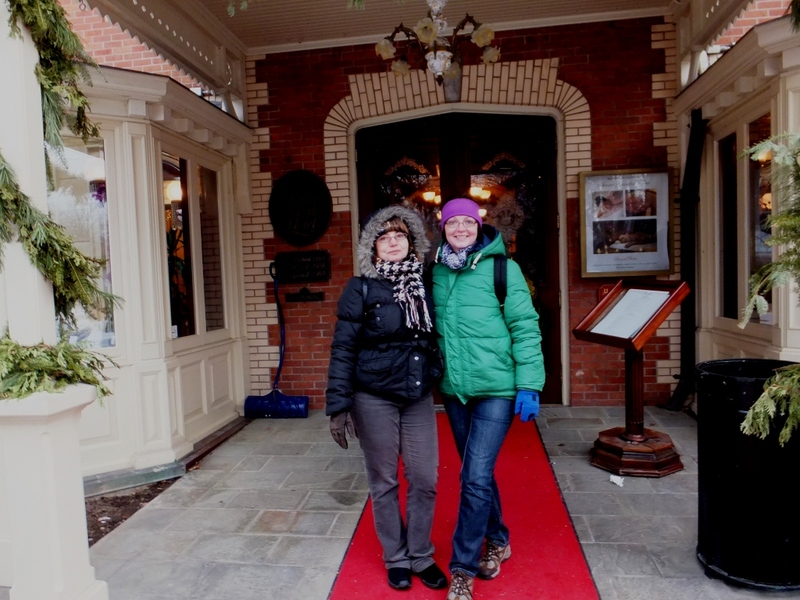 Our Niagara-on-the-Lake afternoon excursion and our walk on Queen Street continued with a sneak peek inside the prominent Prince of Wales Hotel. 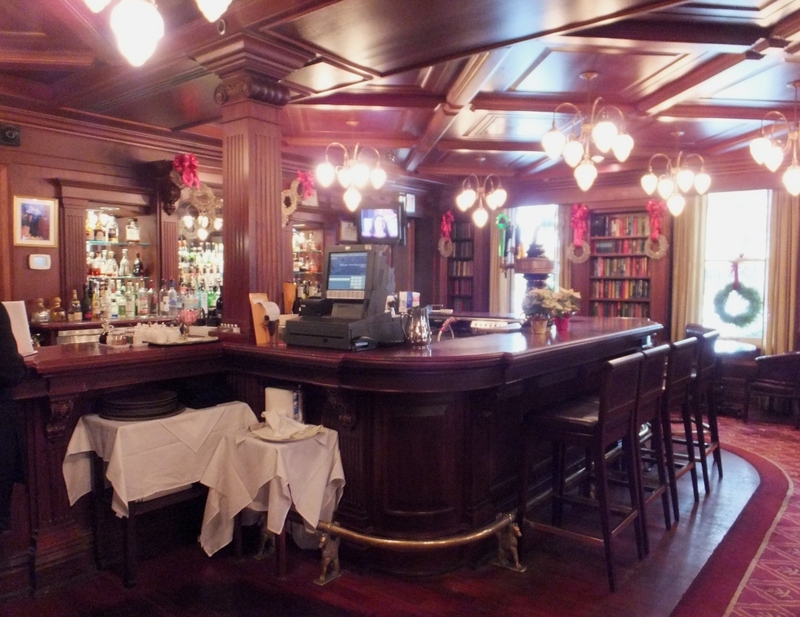 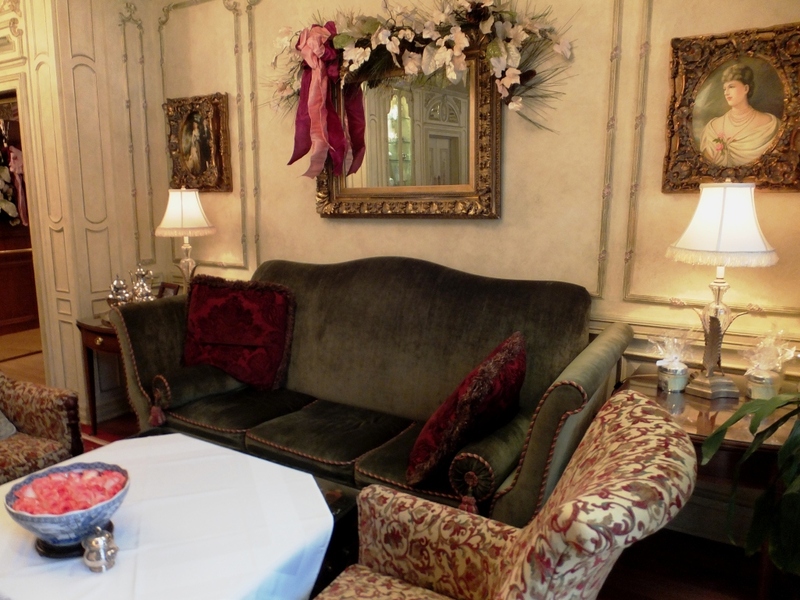 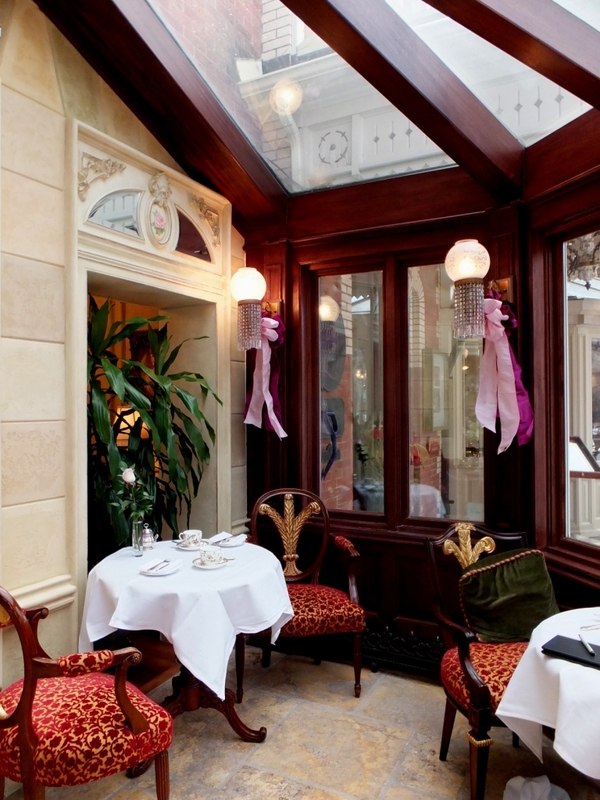 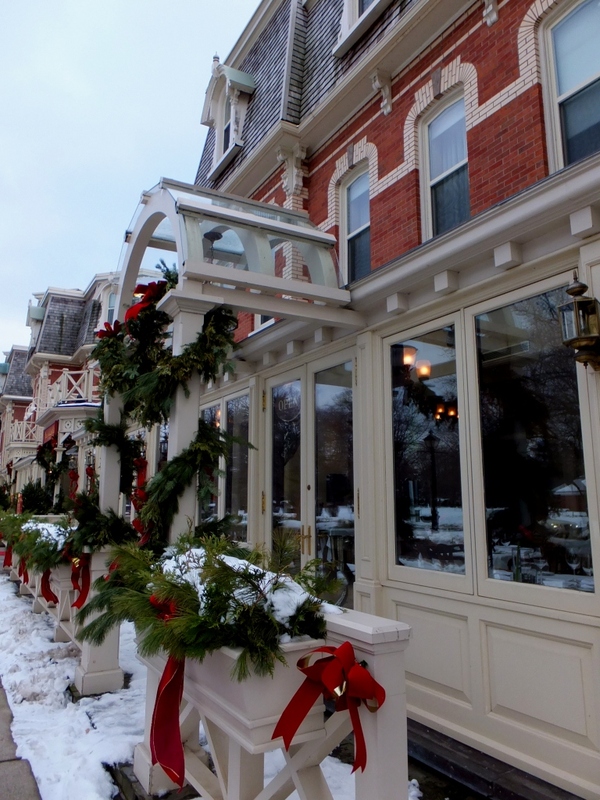 This Victorian-era jewel was built in 1864 and is one of the most elegant and historic hotel properties in town. 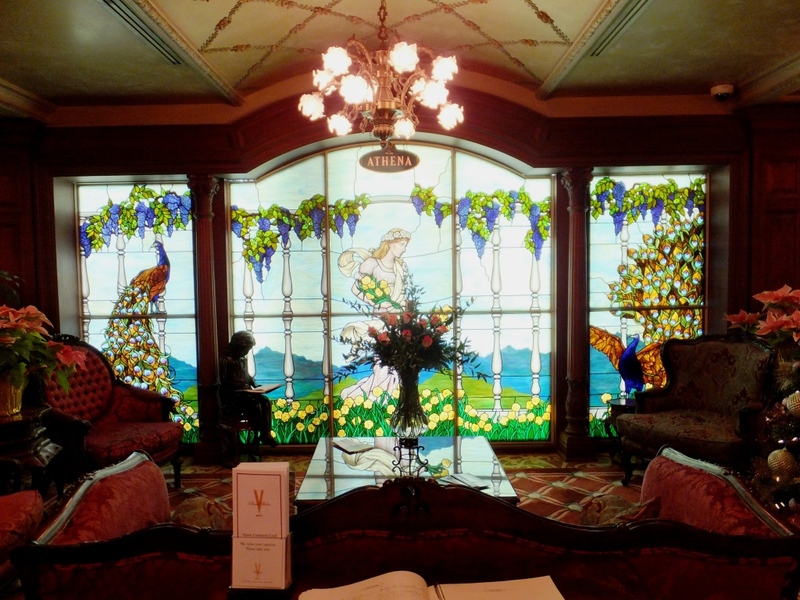 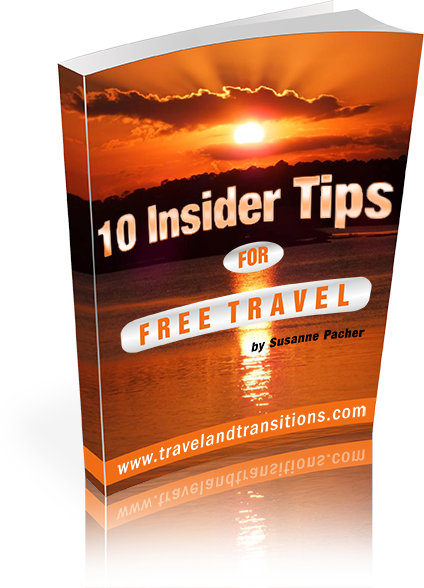 We first peaked into the glass windows and then entered the lobby and were welcomed by the front office staff to have a good look around. 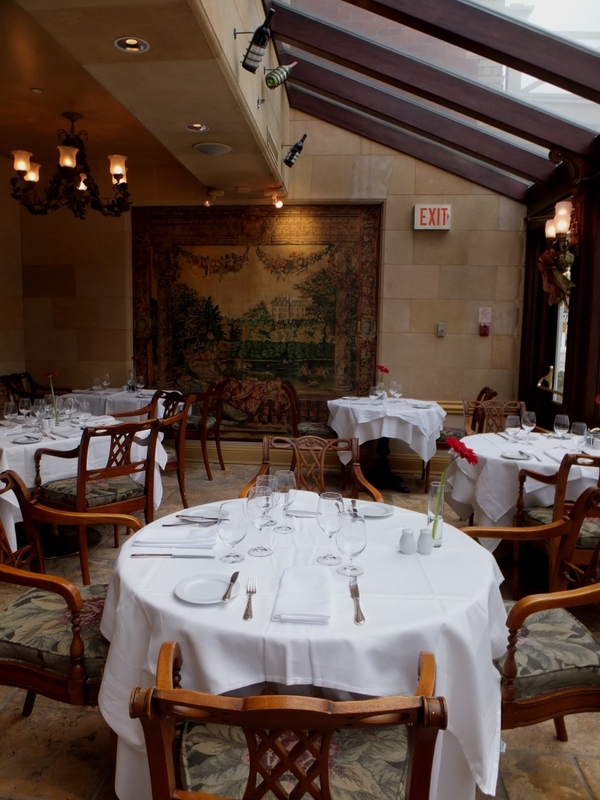 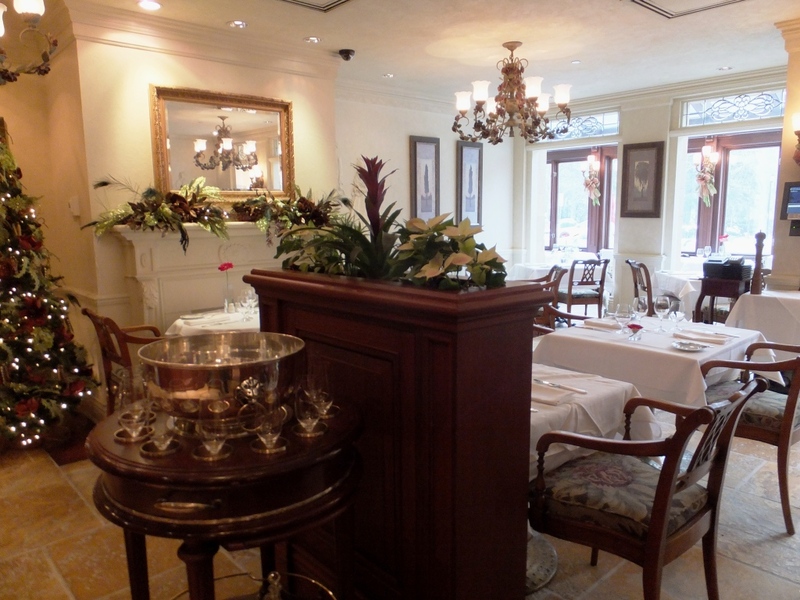 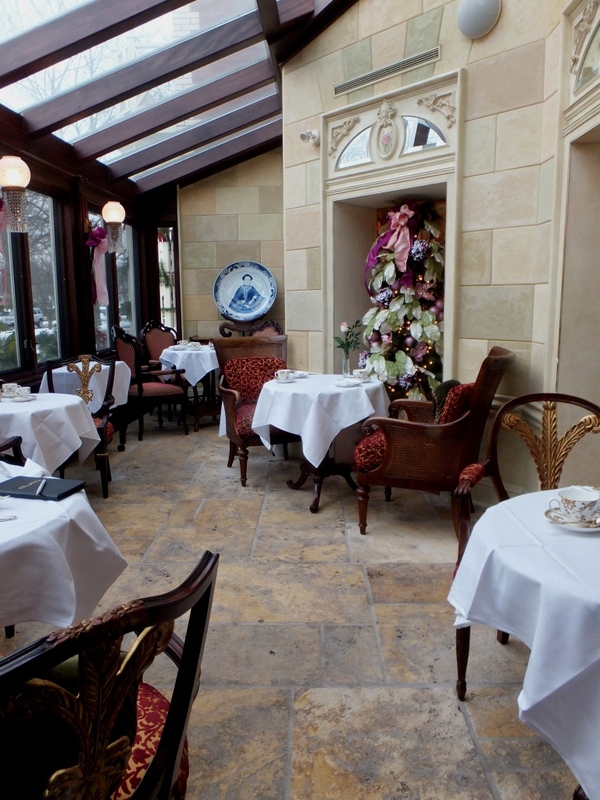 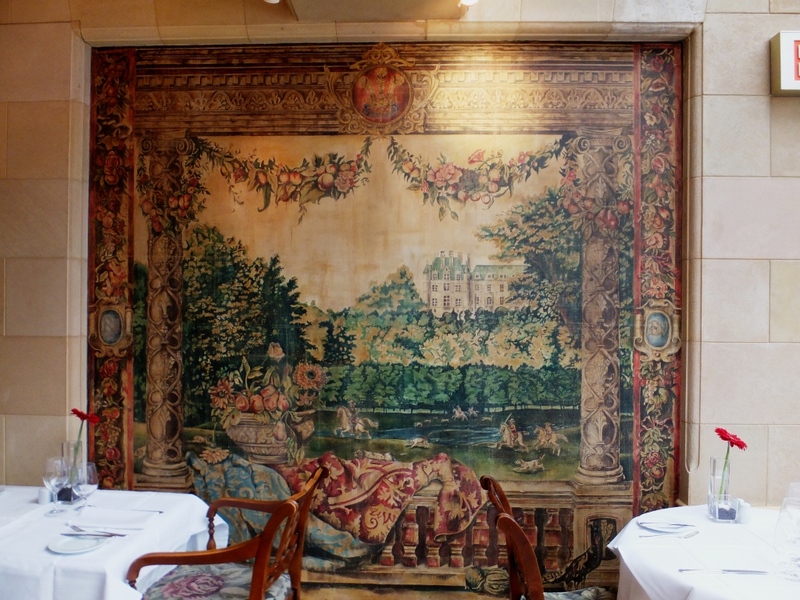 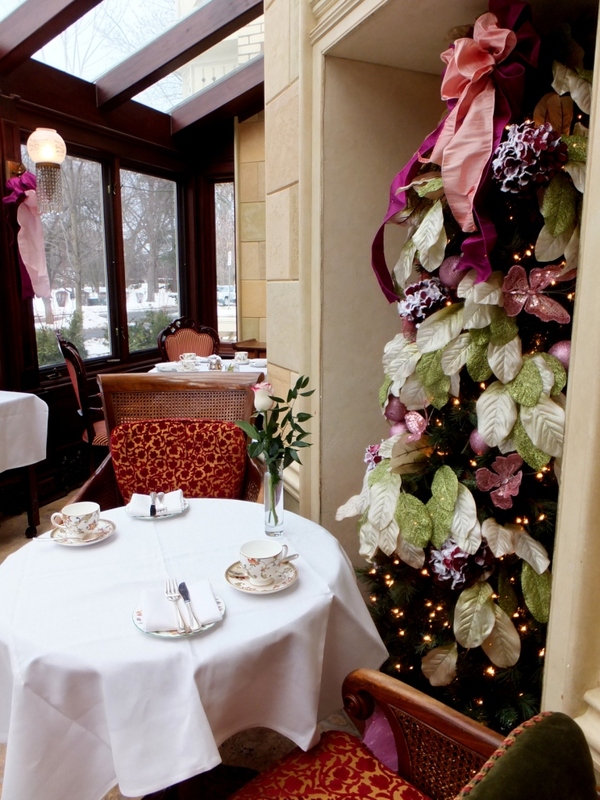 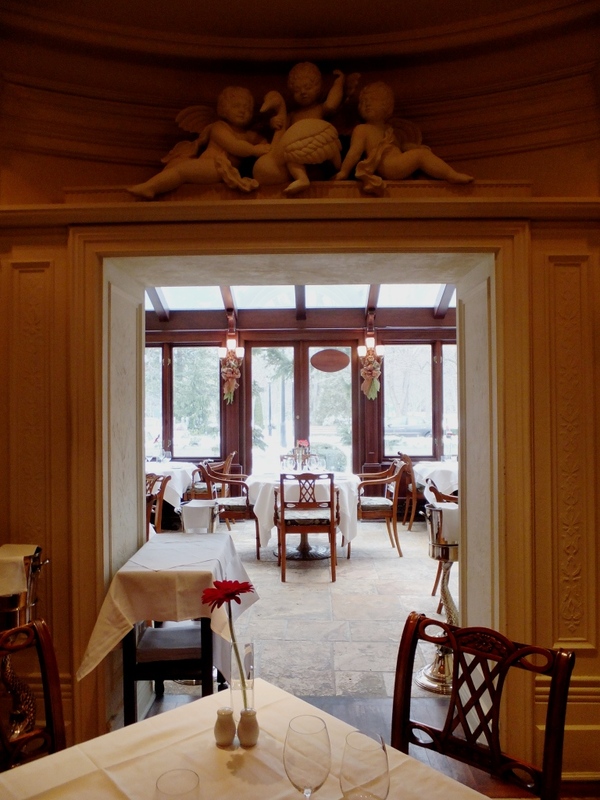 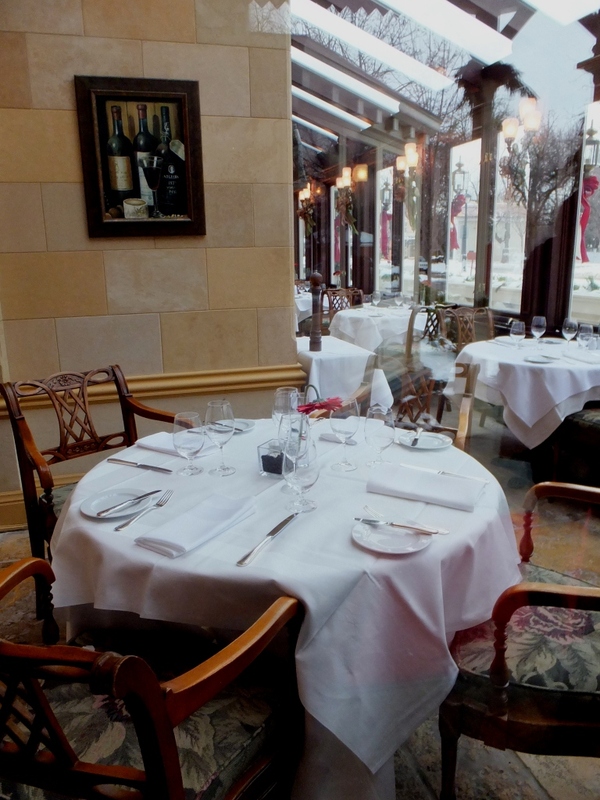 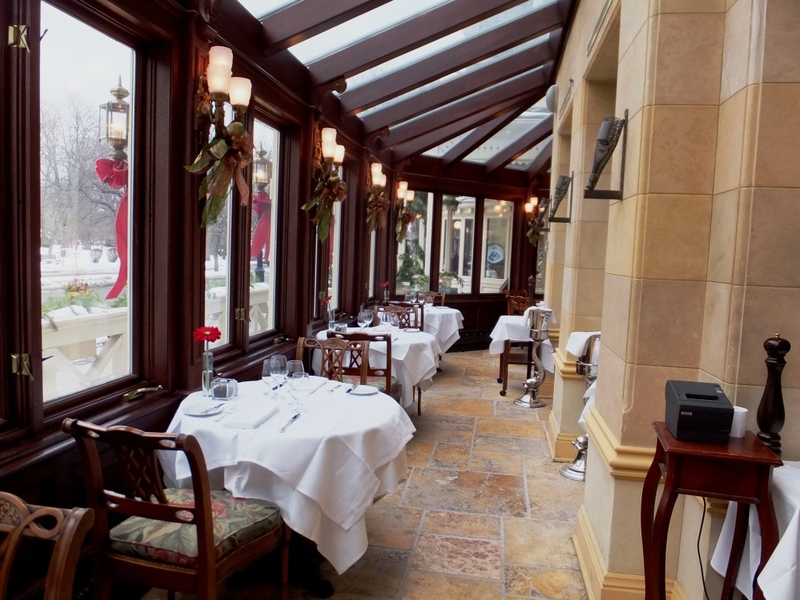 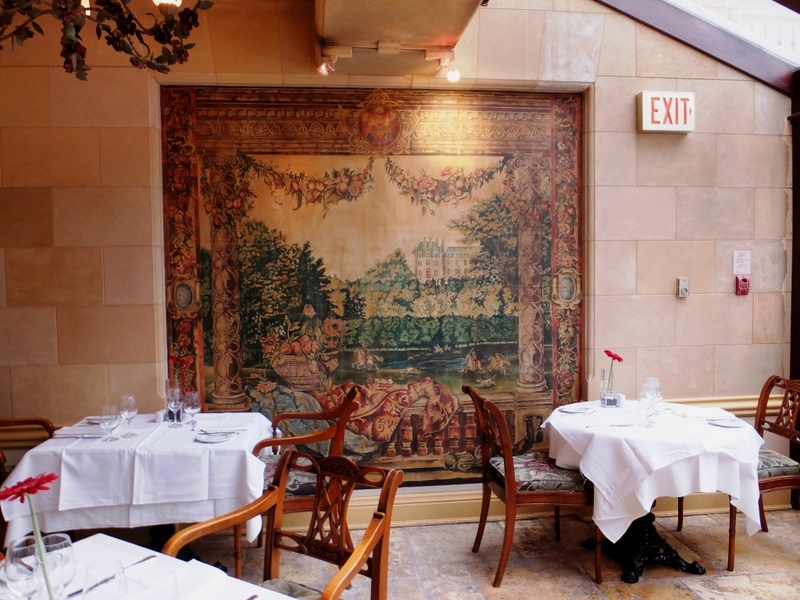 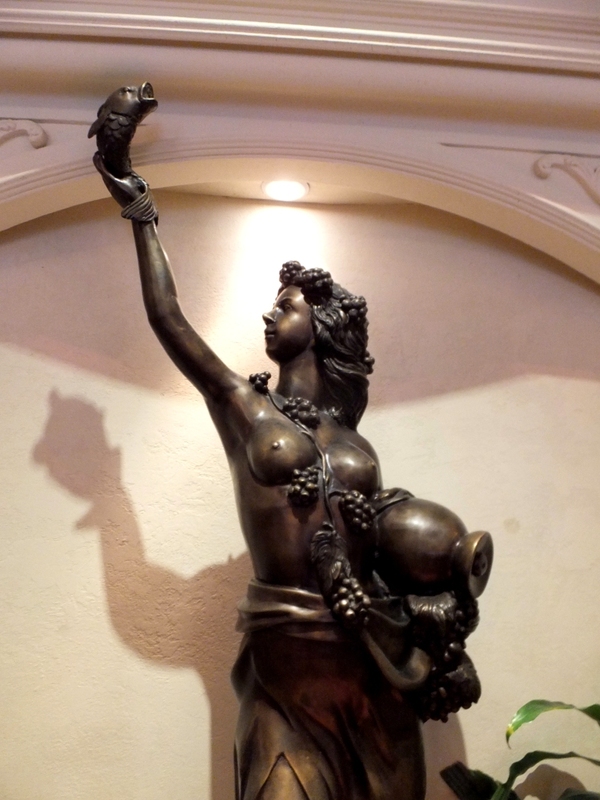 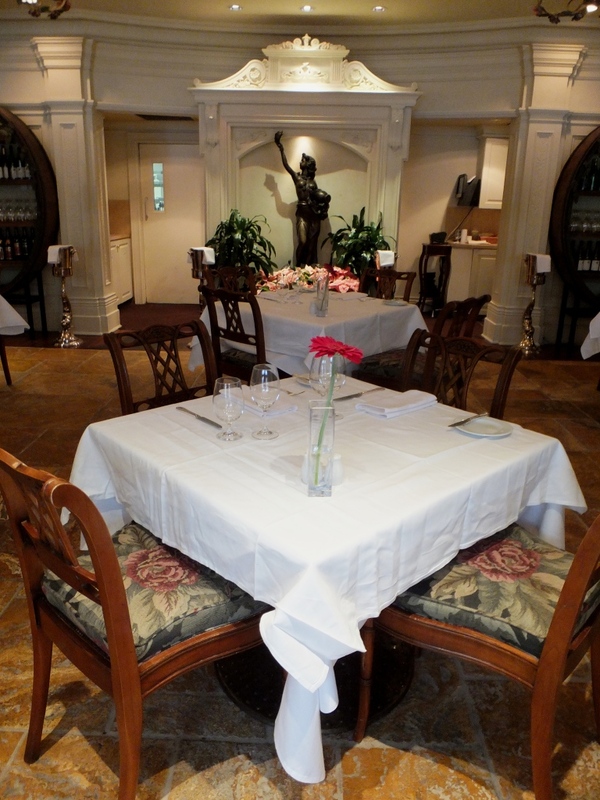 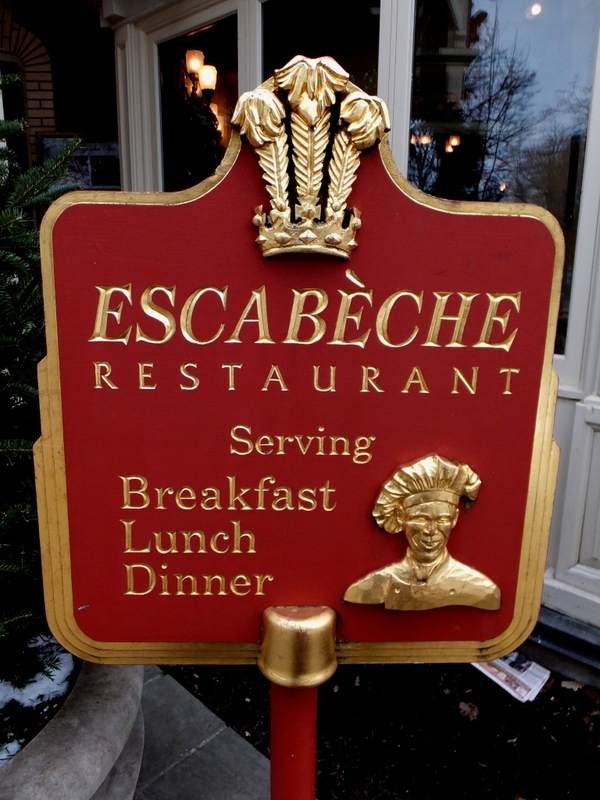 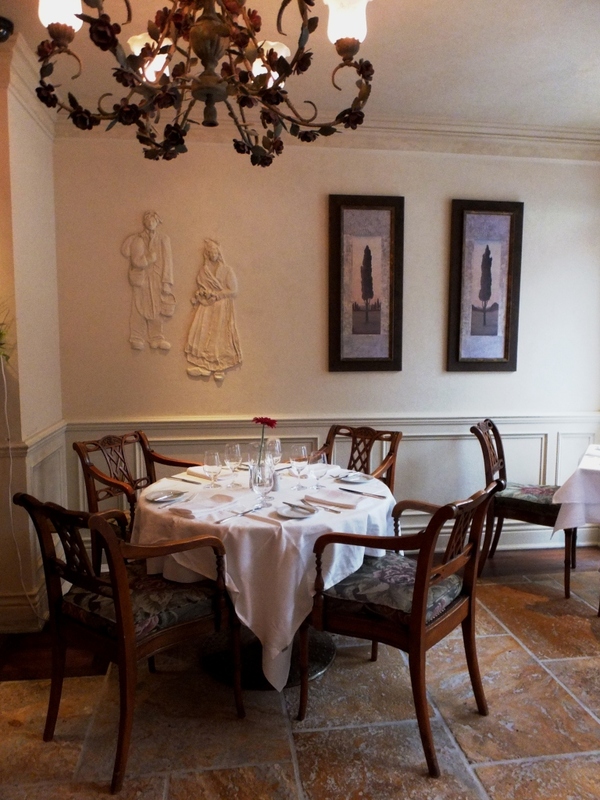 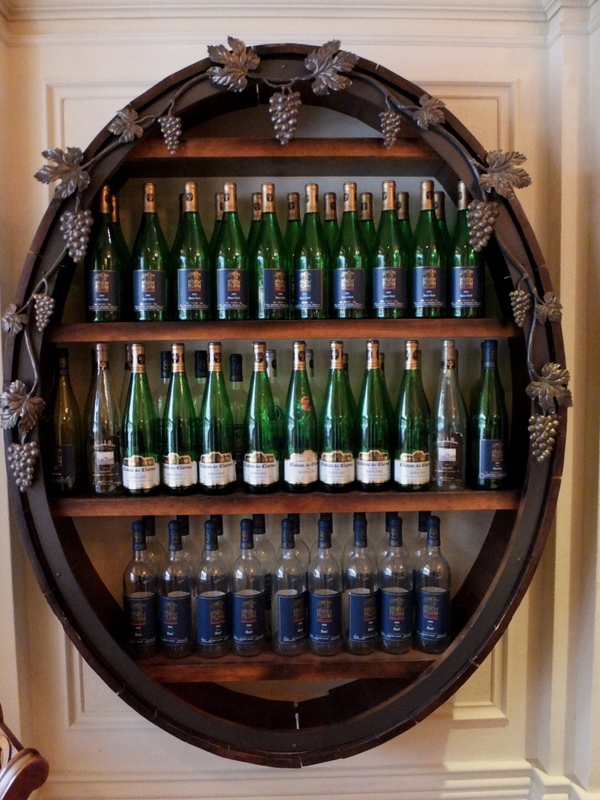 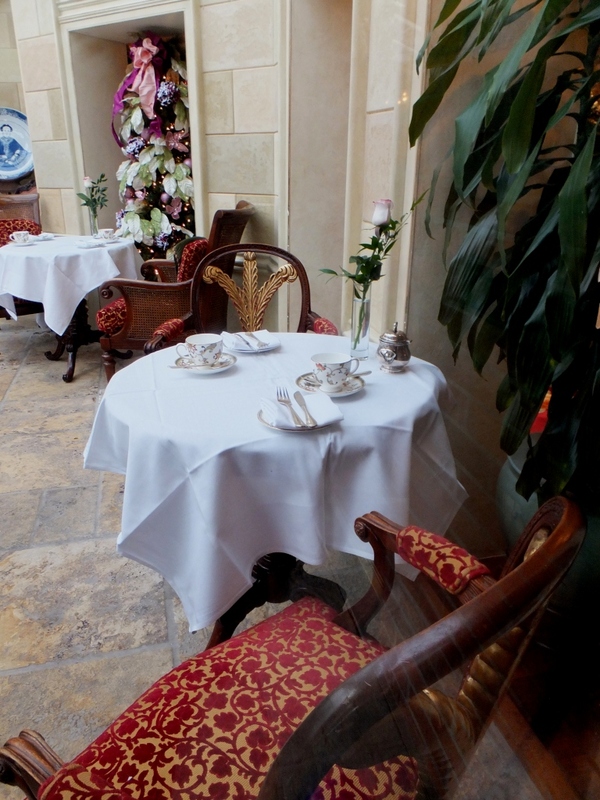 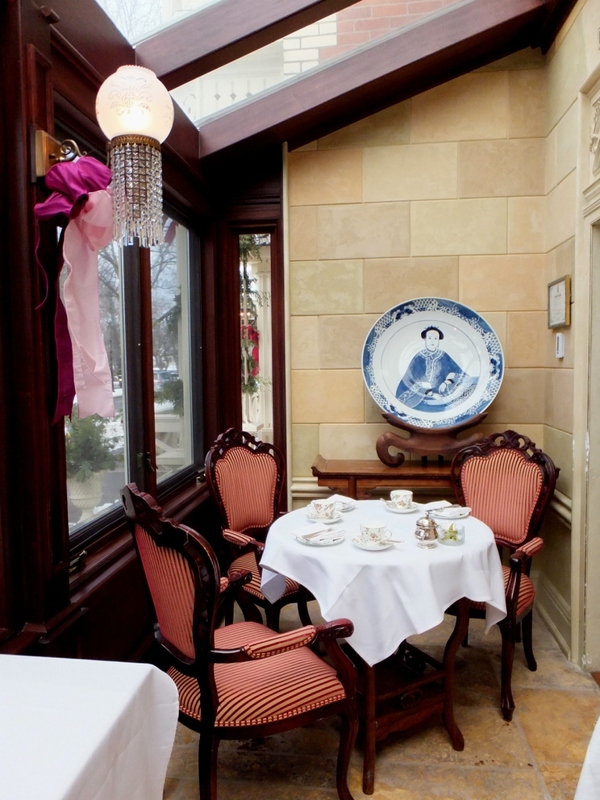 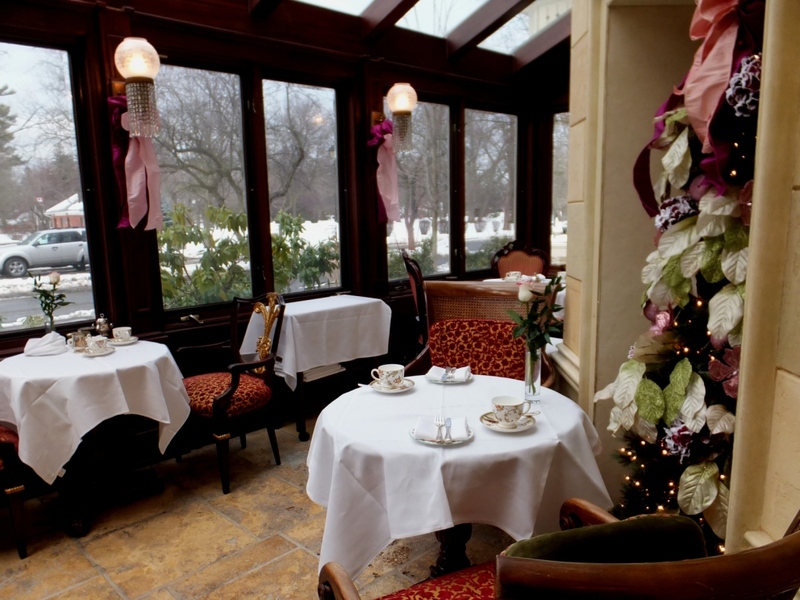 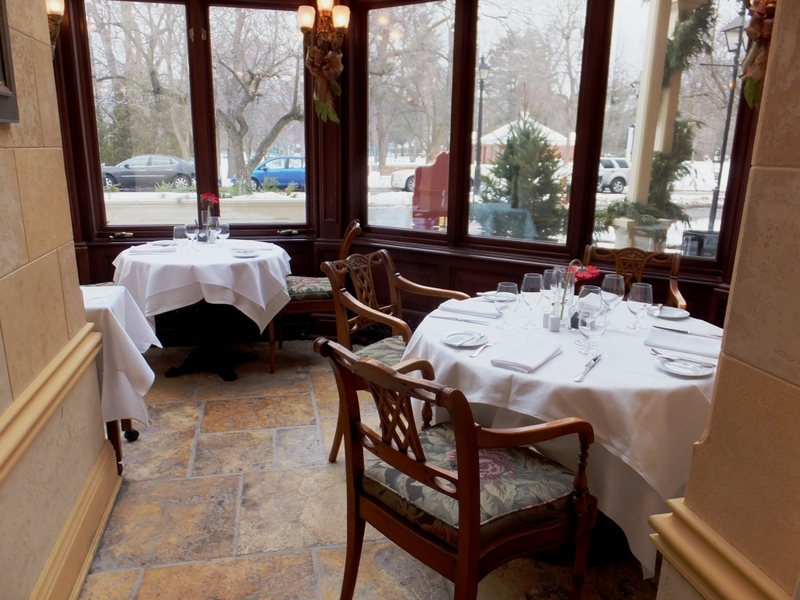 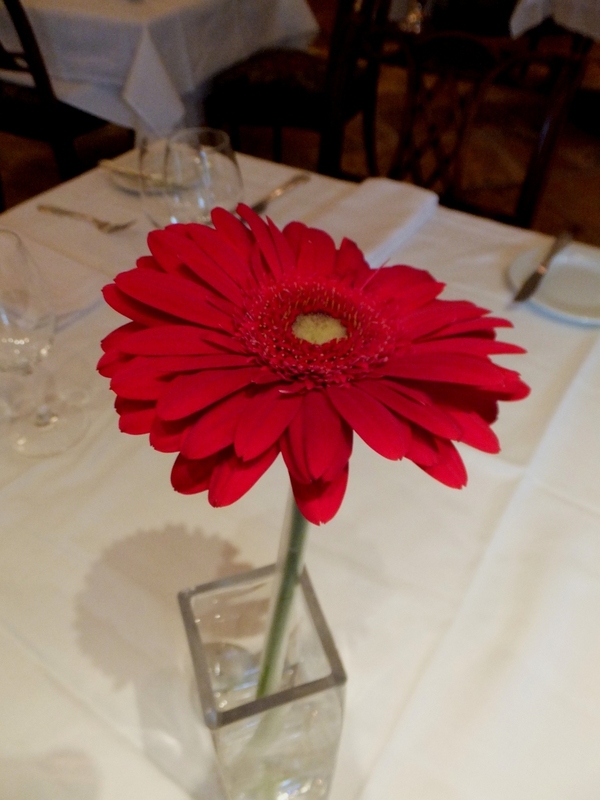 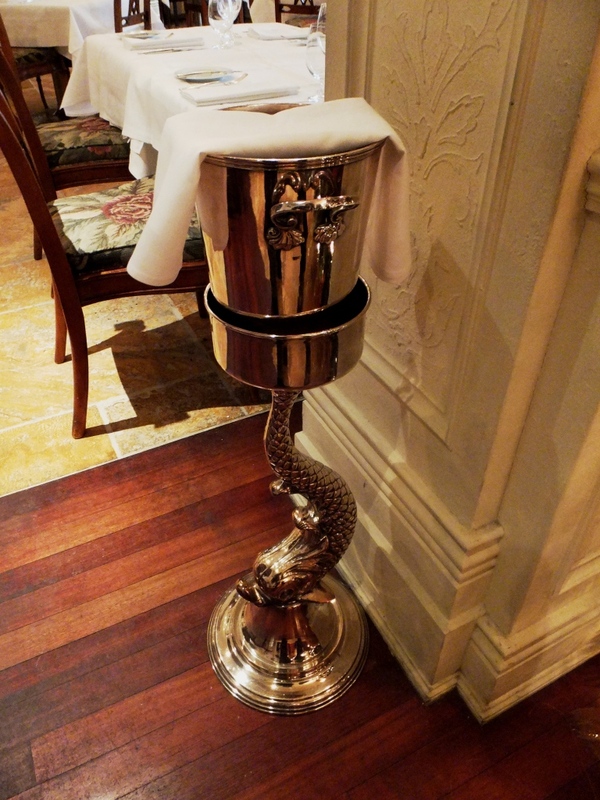 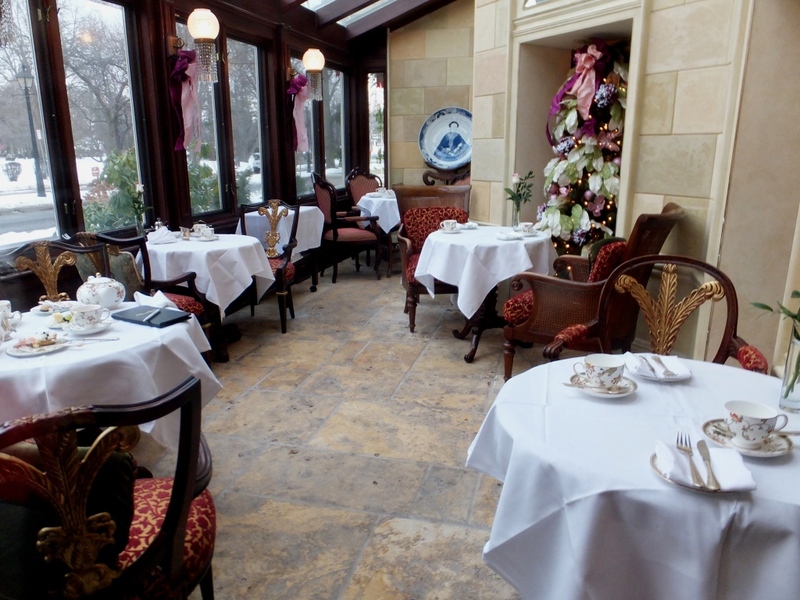 Escabèche is the hotel’s flagship restaurant that specializes in fine cuisine that is paired with the best local wines from the Niagara Region and from around the world. 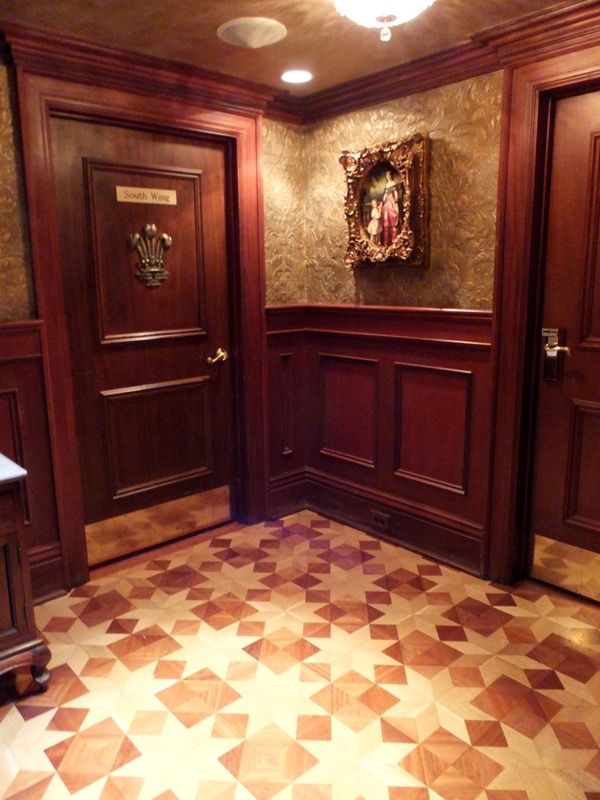 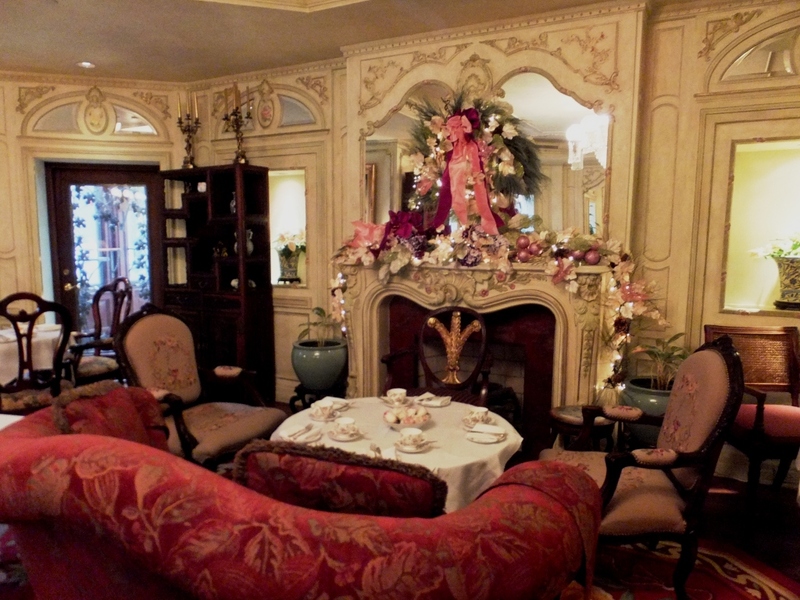 Across the hallway is the Victorian Drawing Room which was all decked out for English Afternoon Tea. 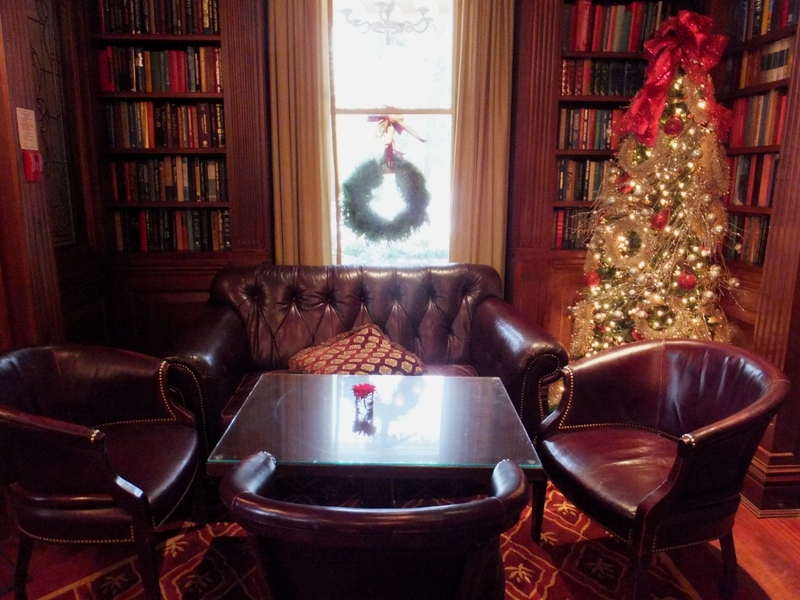 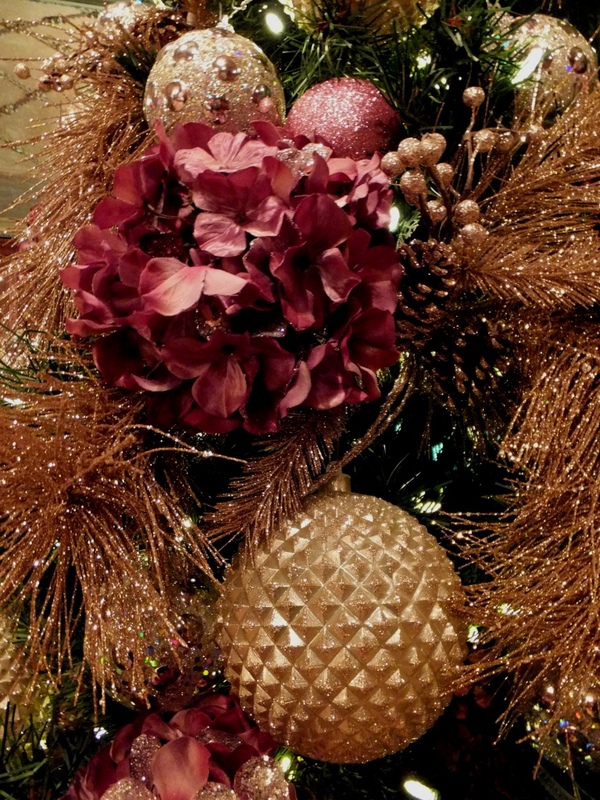 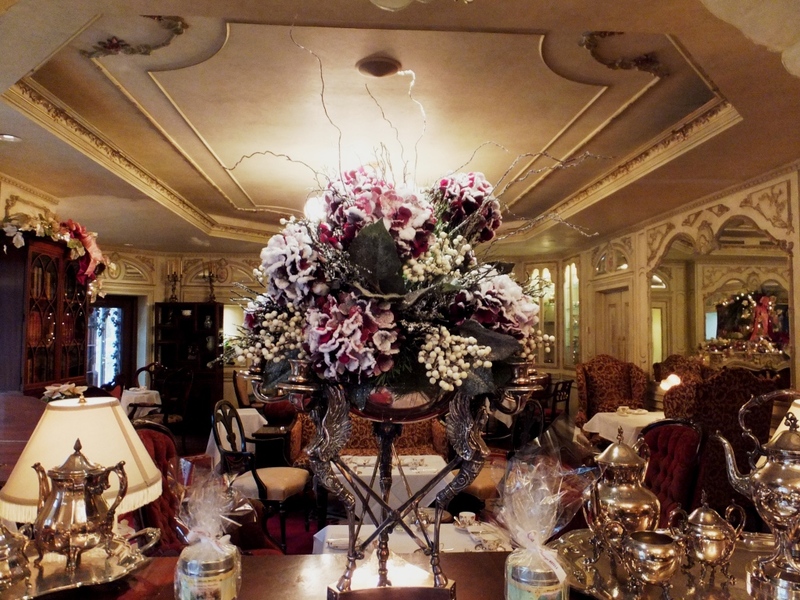 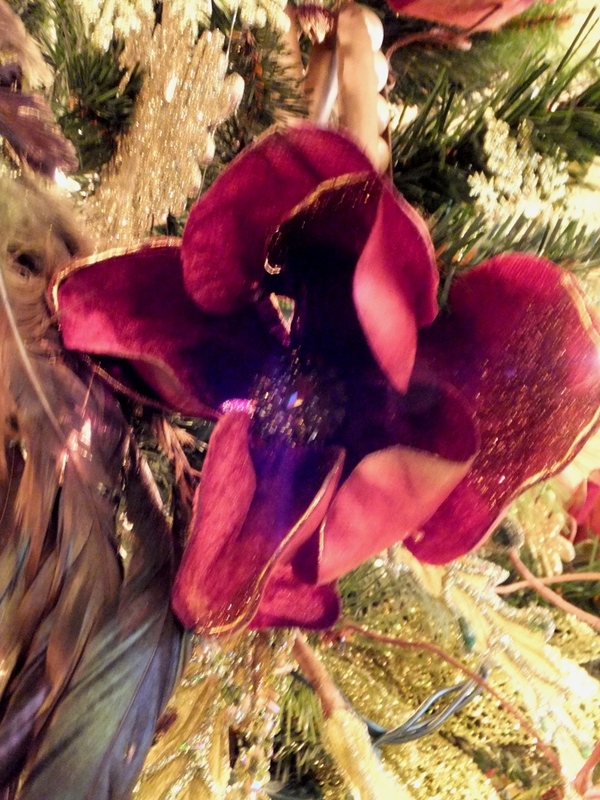 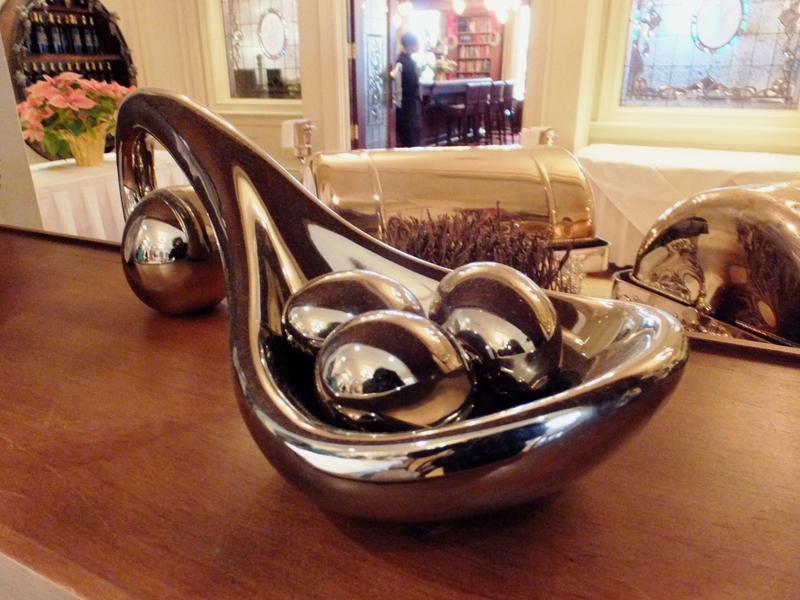 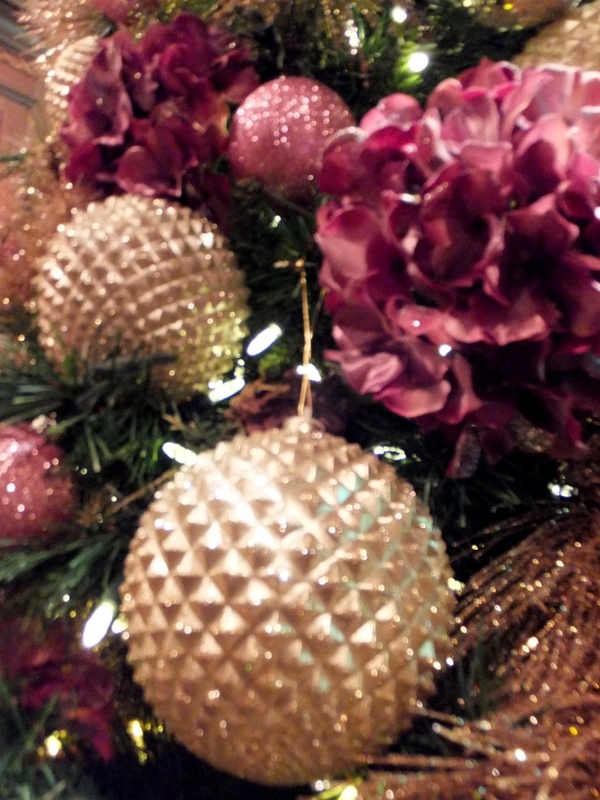 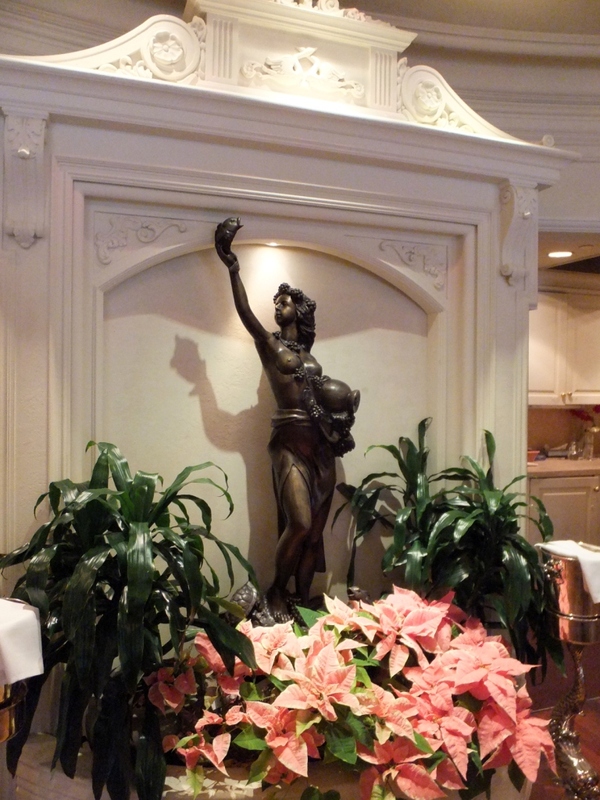 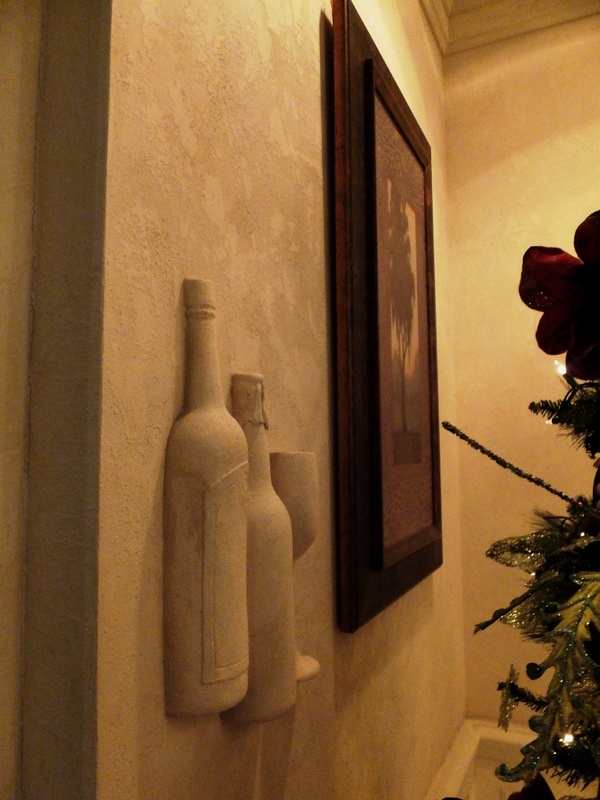 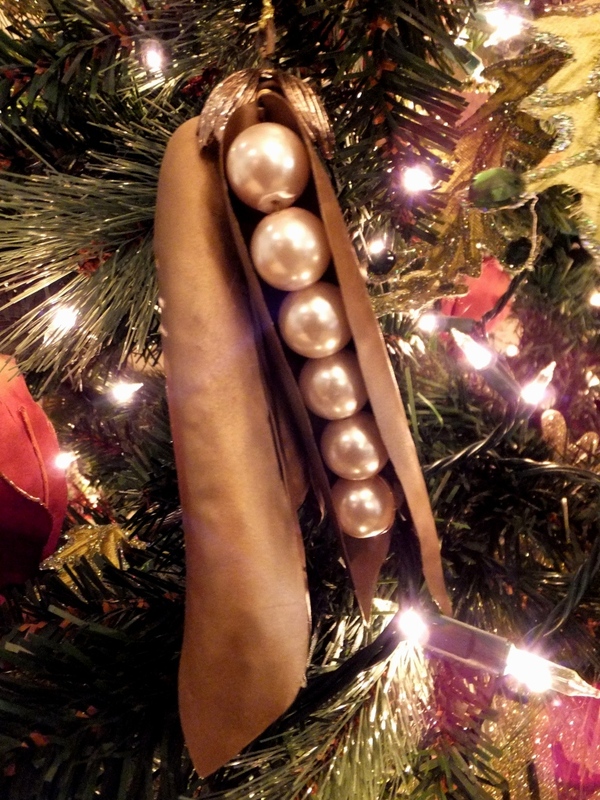 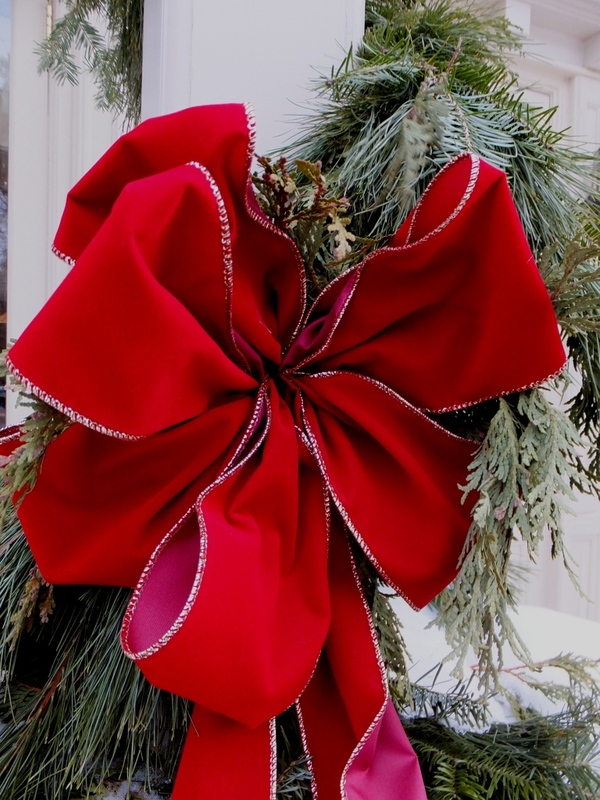 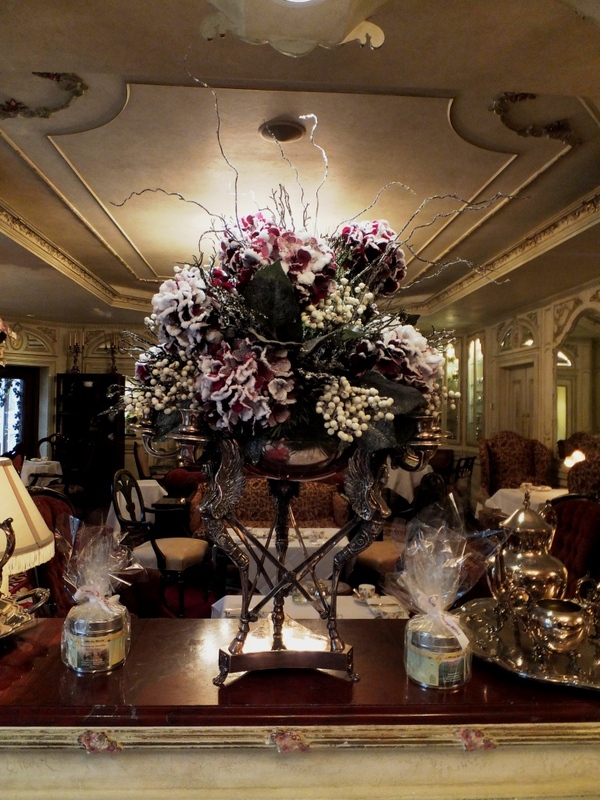 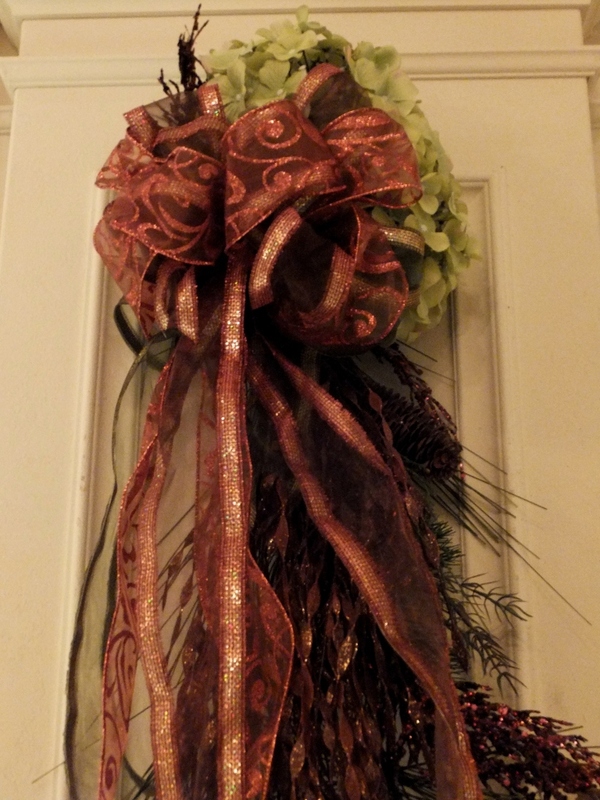 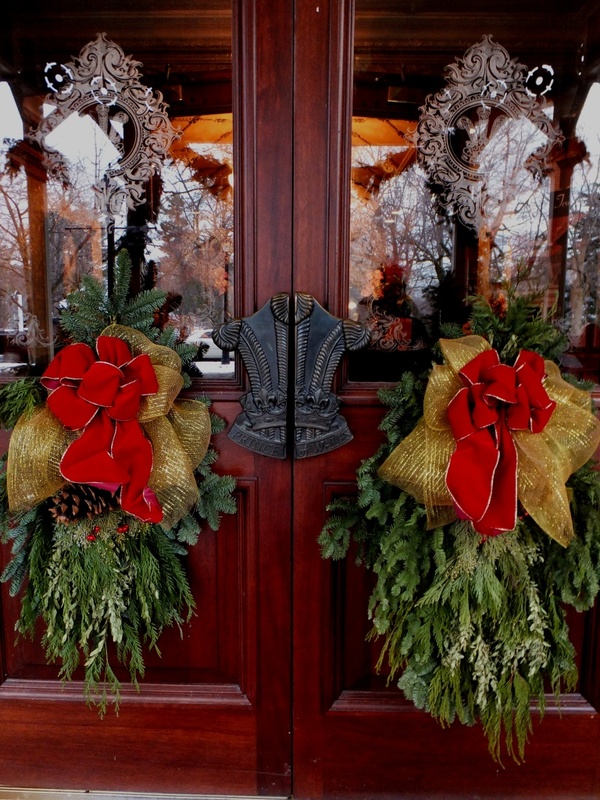 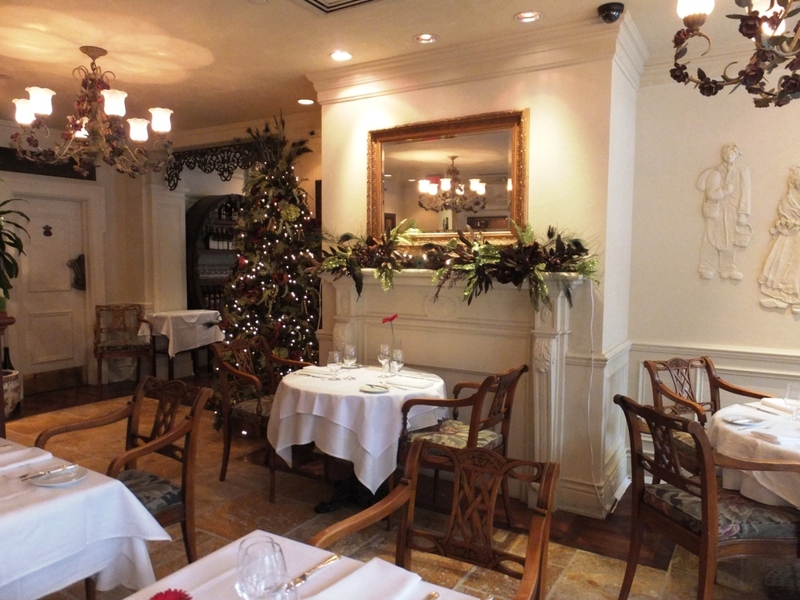 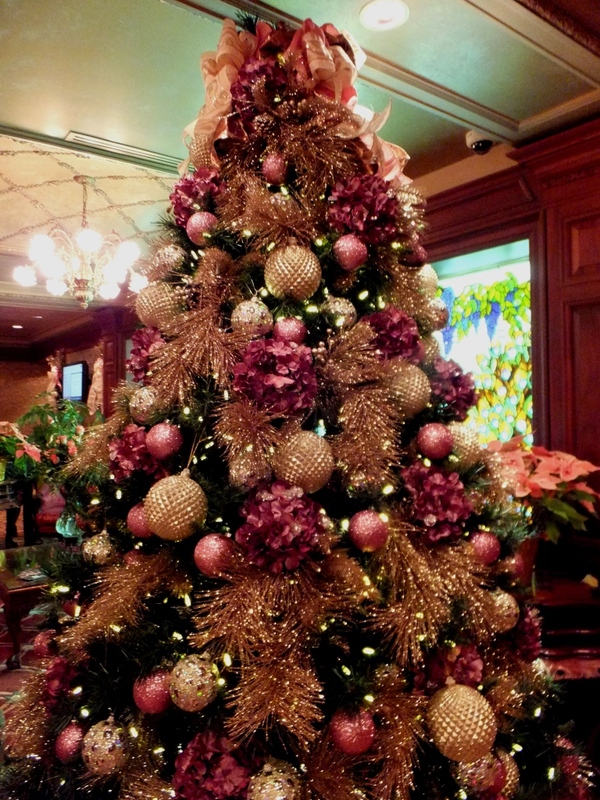 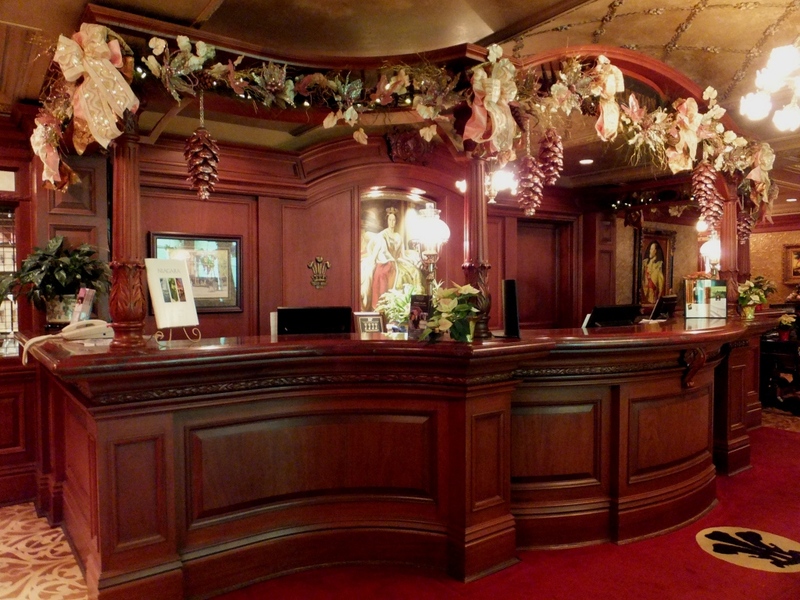 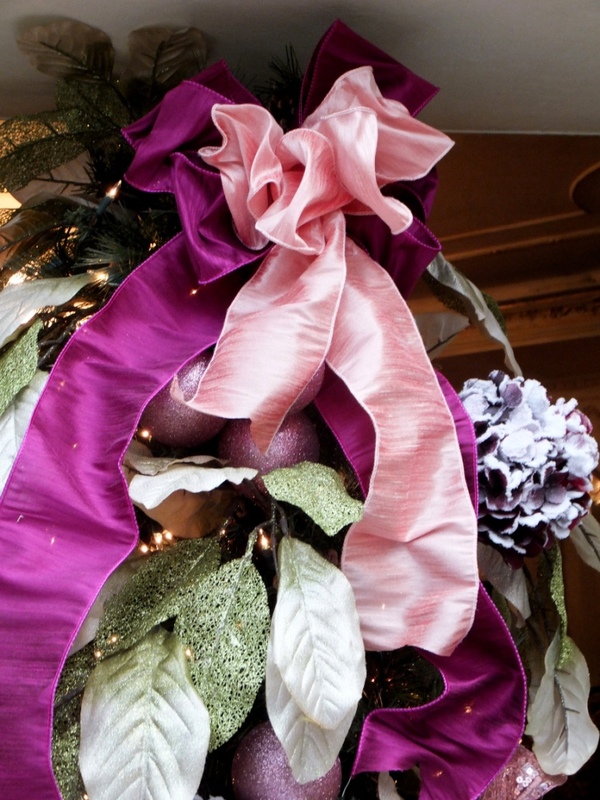 Throughout the main floor, elaborate Christmas decorations were enhancing the elegant décor. 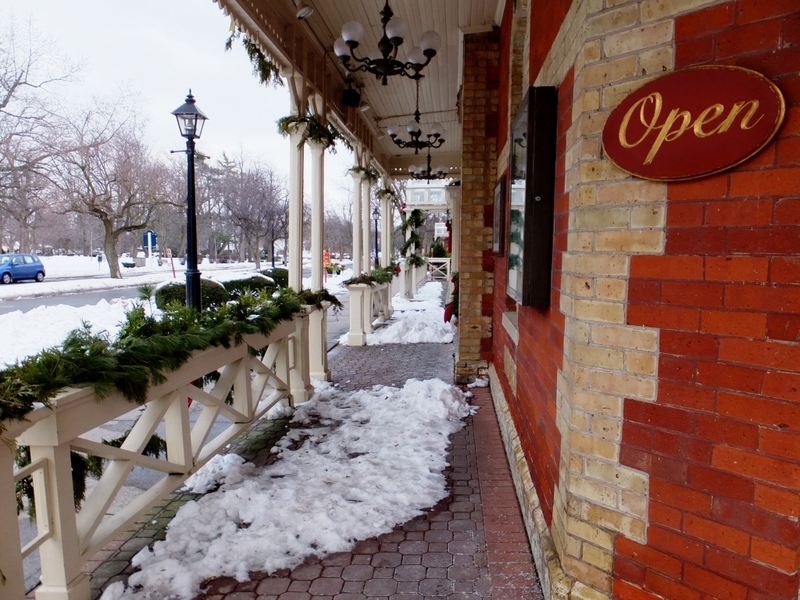 For almost 150 years now, Niagara-on-the-Lake has been graced by this landmark which was expanded several times over the course of its history. 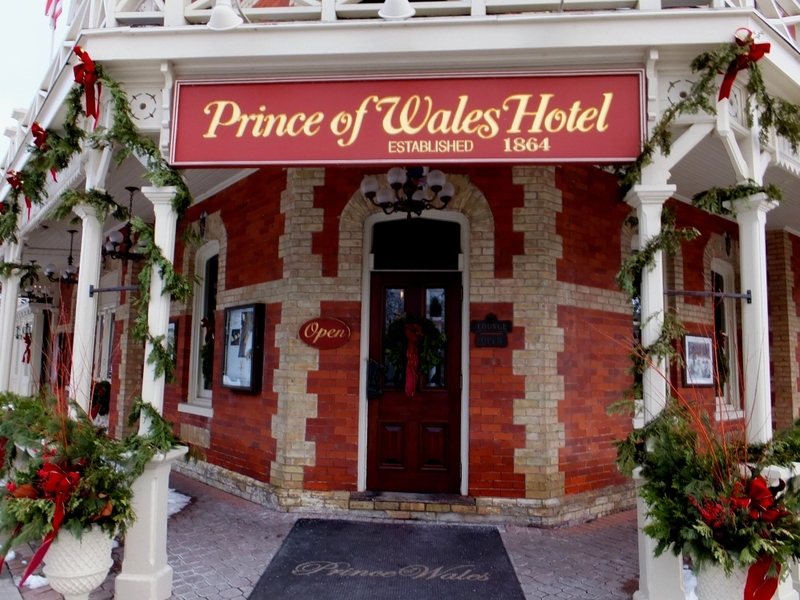 When the hotel was built, the price for a night would be only $6; today the Prince of Wales is a luxury property that is part of the Vintage Hotels group which also manages two other venerable properties in Niagara-on-the-Lake: the Pillar and Post Inn and the Queen’s Landing Inn. 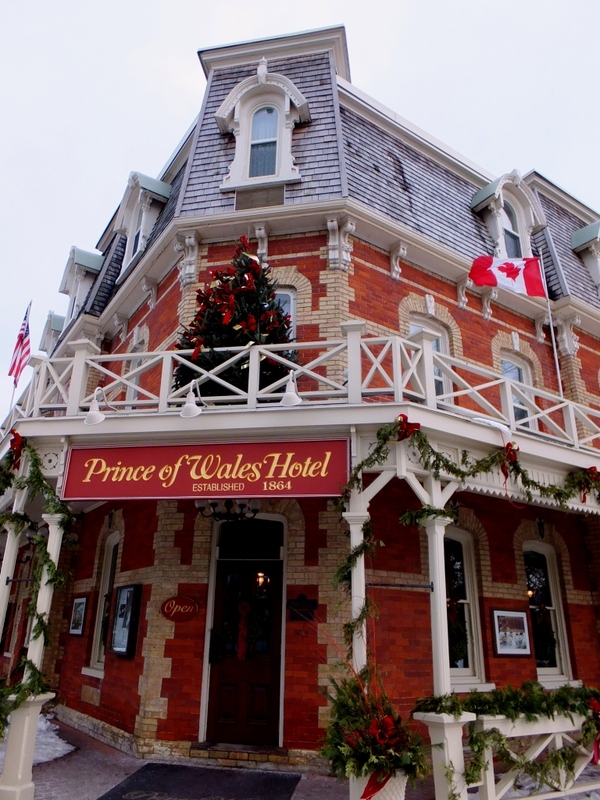 The Prince of Wales Hotel has the most prominent location of the three properties in Niagara-on-the-Lake, right at the intersection of Queen and King Streets. 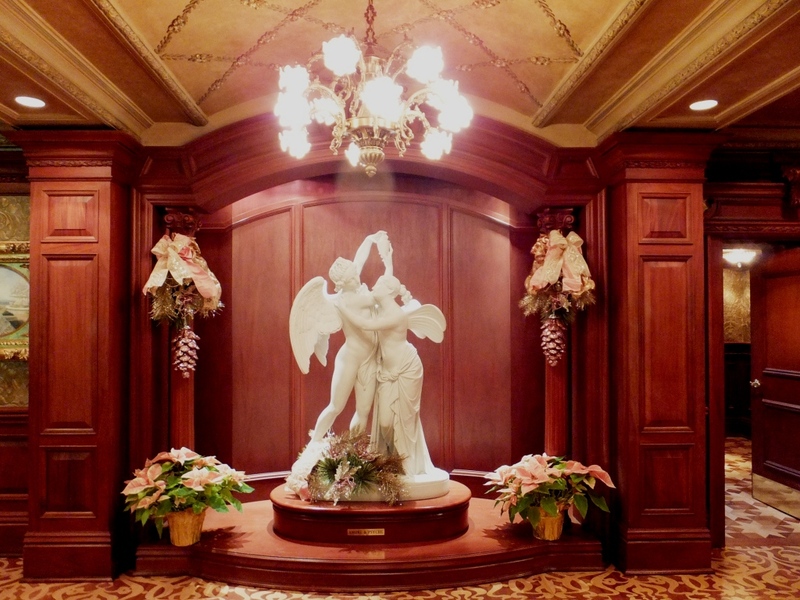 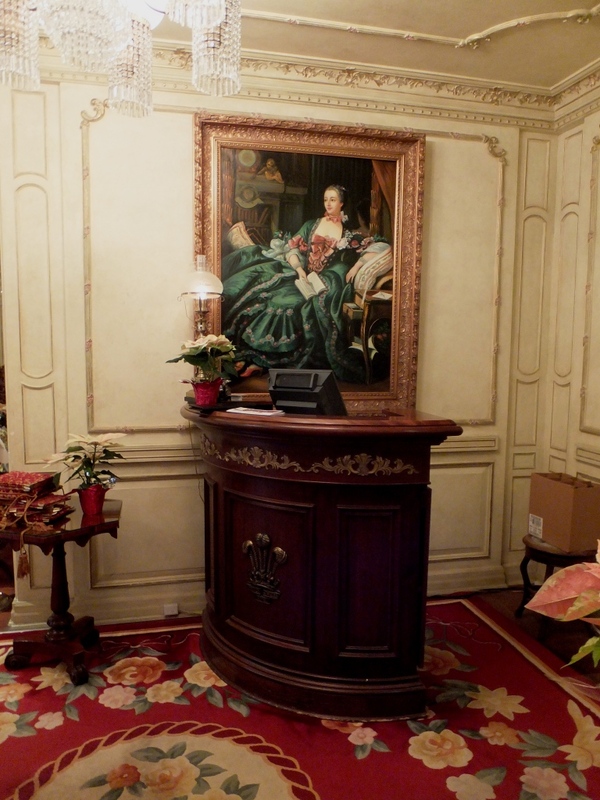 It features a variety of guestrooms, including traditional, superior, deluxe and premium guestrooms, luxurious suites and the opulent Royal Suite with a four-poster canopy bed and a private walk-out balcony that overlooks the park next door. 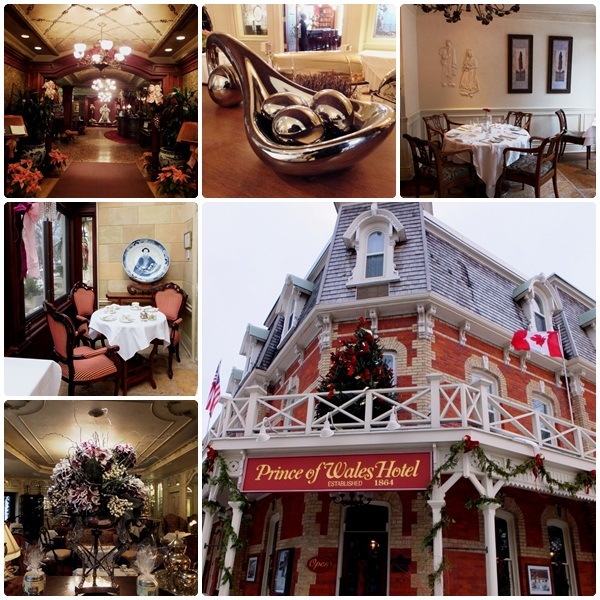 A top-notch spa and conference facilities and meeting venues round out the hospitality offerings at the Prince of Wales Hotel and countless couples in love dream of having their wedding at this unique location. 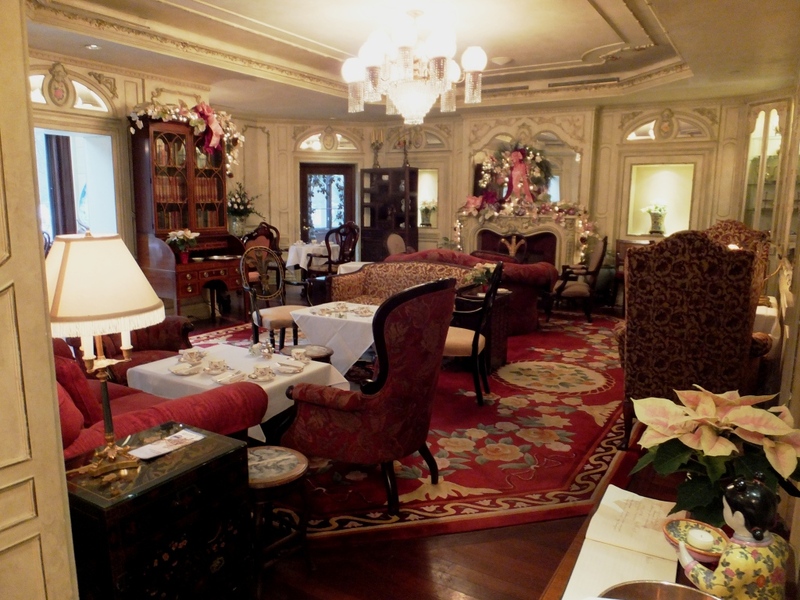 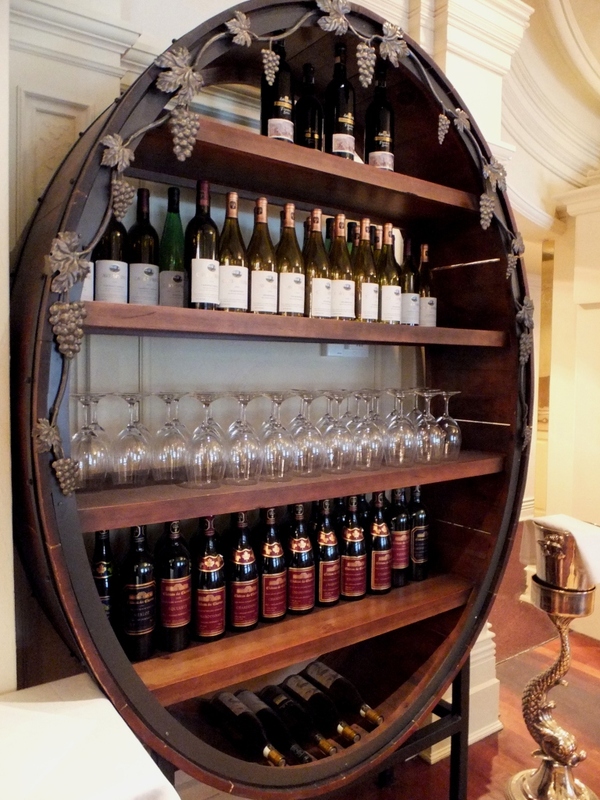 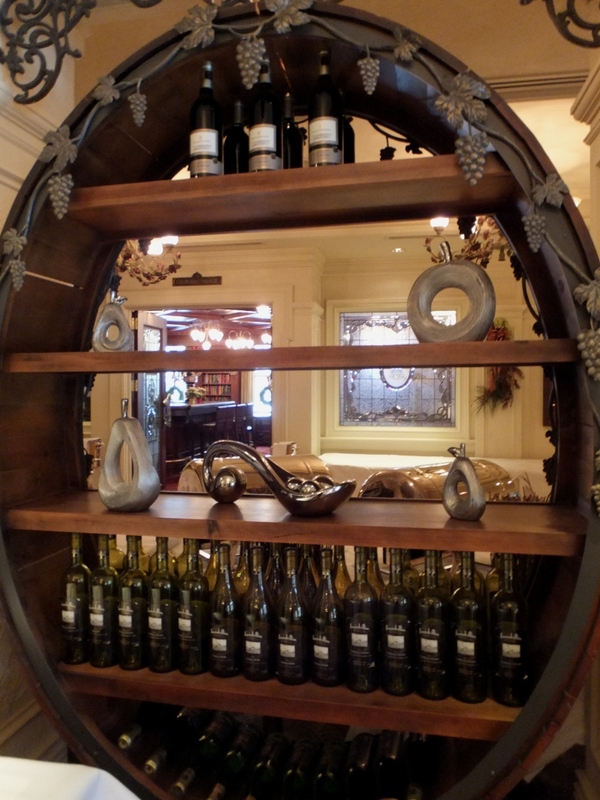 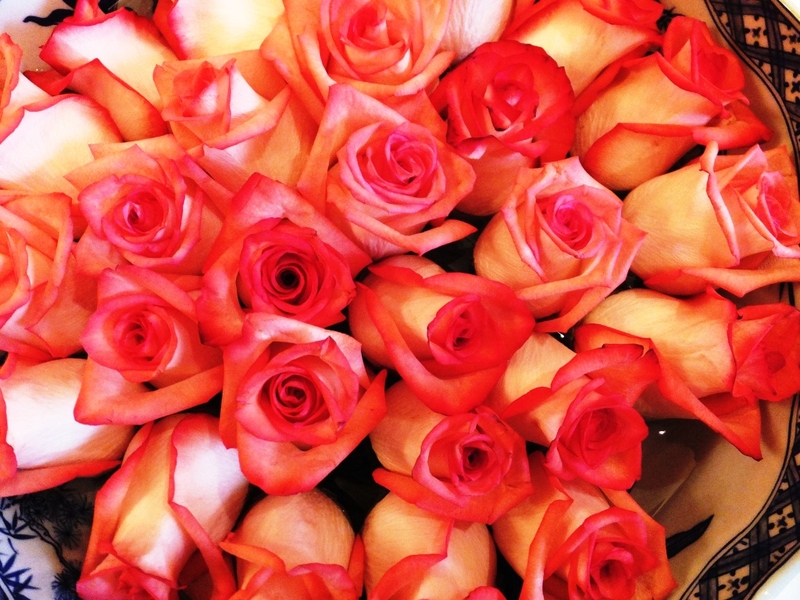 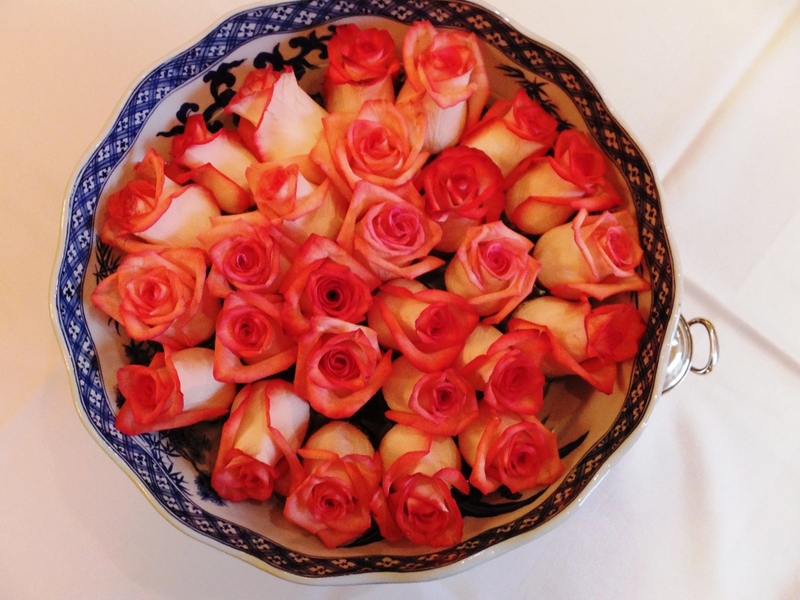 The hotel offers a variety of packages for culinary aficionados and romantic weekend getaways. 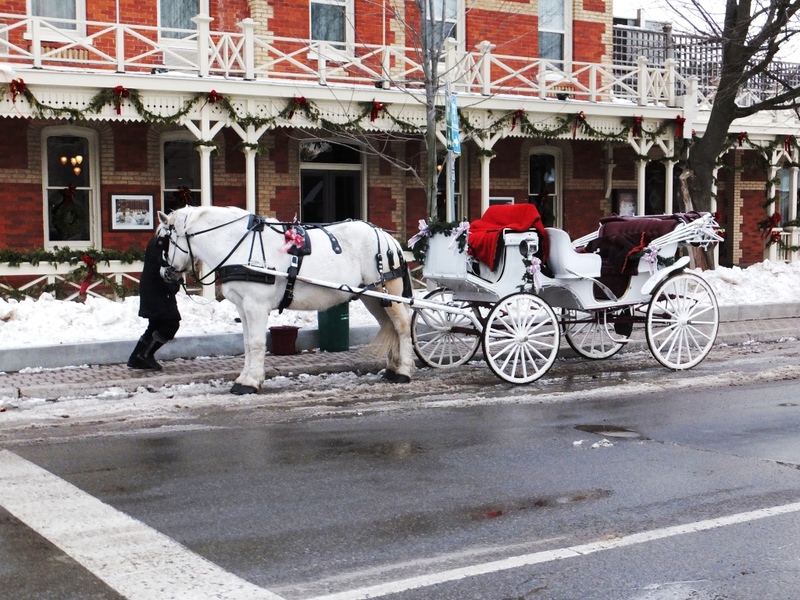 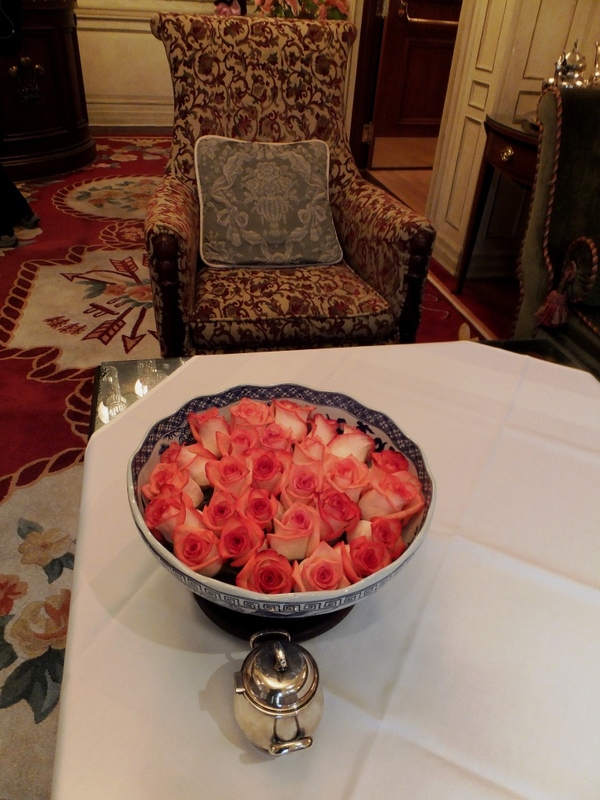 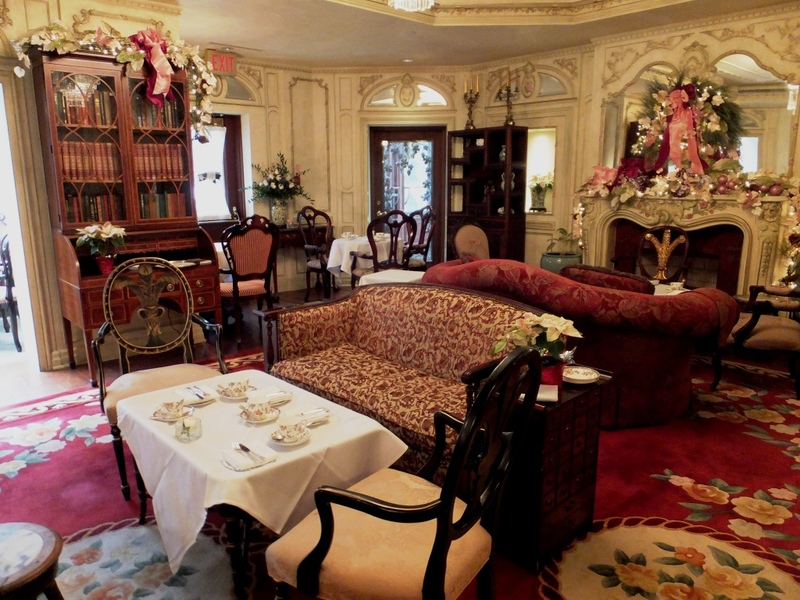 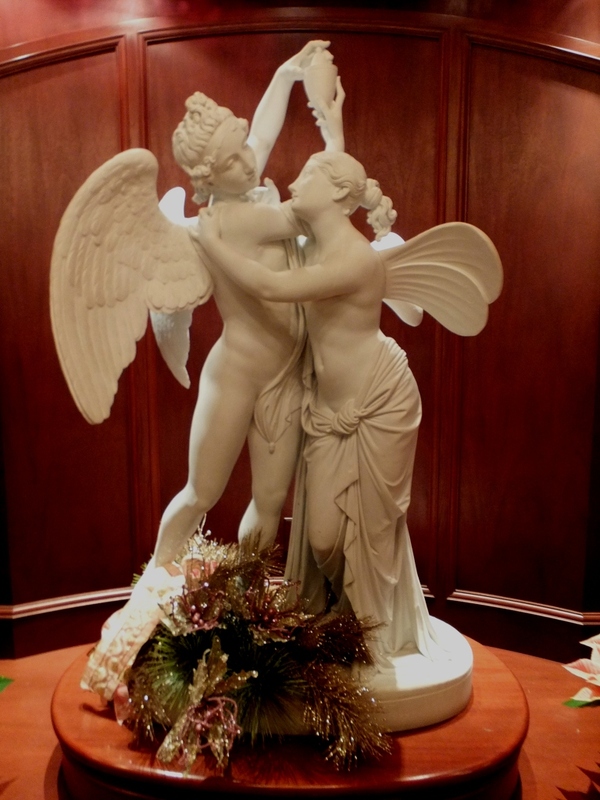 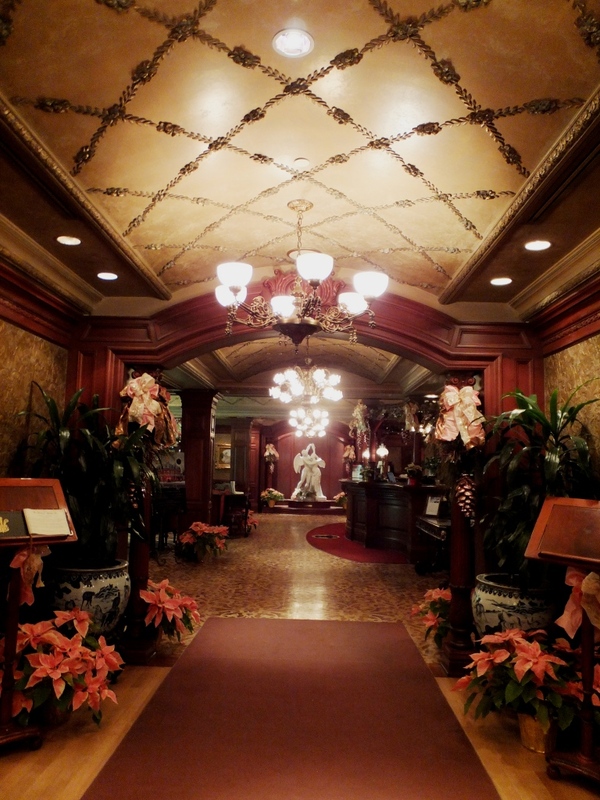 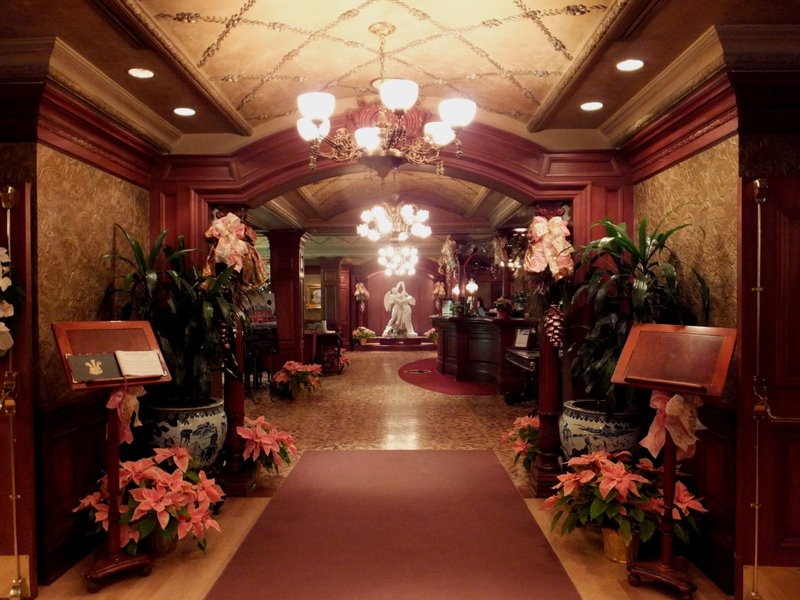 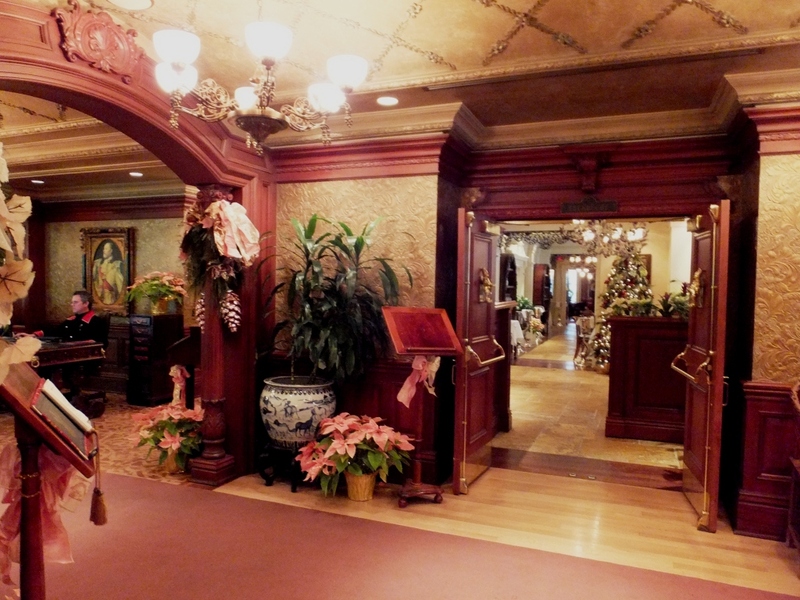 Although we had to move on to our final destination for the day – Niagara Falls – we enjoyed exploring this hotel and getting a glimpse of true Victorian elegance in Niagara-on-the-Lake.